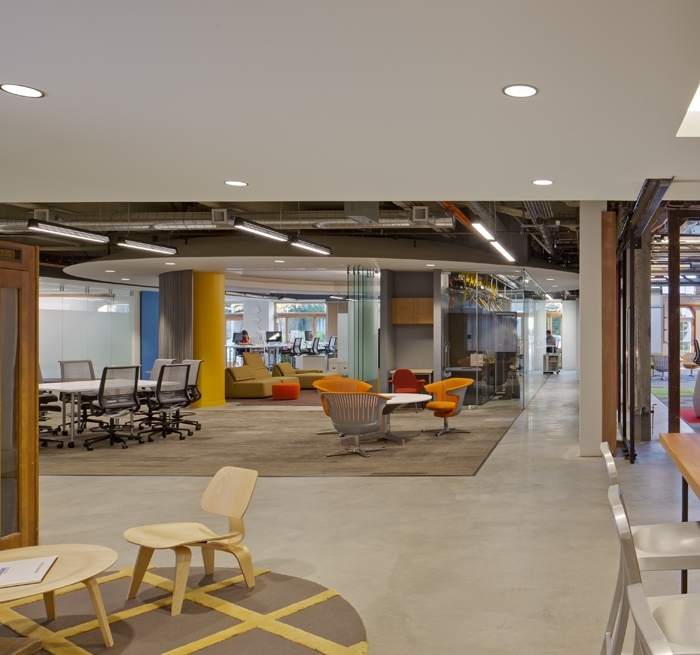 Auerbach Glasow provided architectural lighting design for the AT&T Foundry Innovation Center, a single story flexible space for collaborative group meetings by AT&T application developers and technology experts. This historic building was originally a laundry. The team’s design seamlessly integrates cutting edge technology into the architecture of the building. 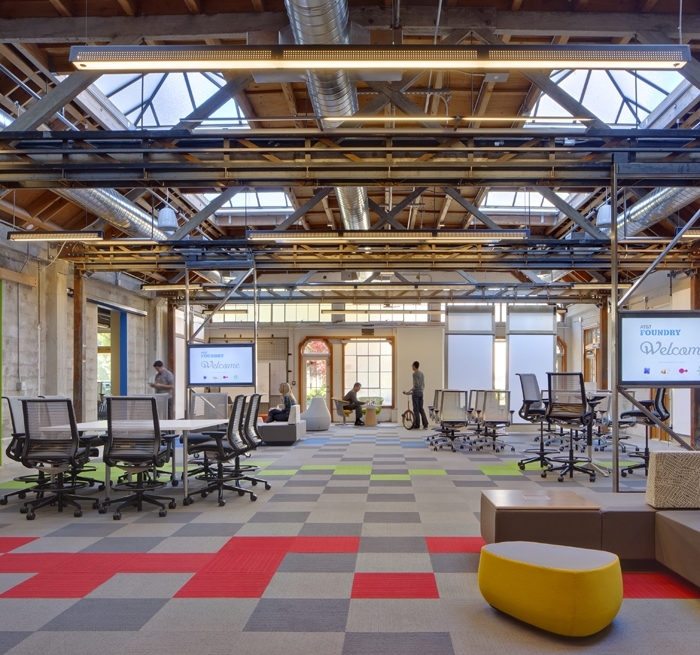 The facility is also used by third party groups and is open for use to students at Stanford University and is the third Foundry operated by the company and is often used for telepresence meetings with the teams in other countries. The exposed historic ceiling is highlighted by linear fluorescent uplights integrated with the beams. Suspended linear LED downlights seamlessly integrate open areas that can be divided by movable walls and mobile furniture. Recessed downlights provide the fill between open studio spaces and walkways. 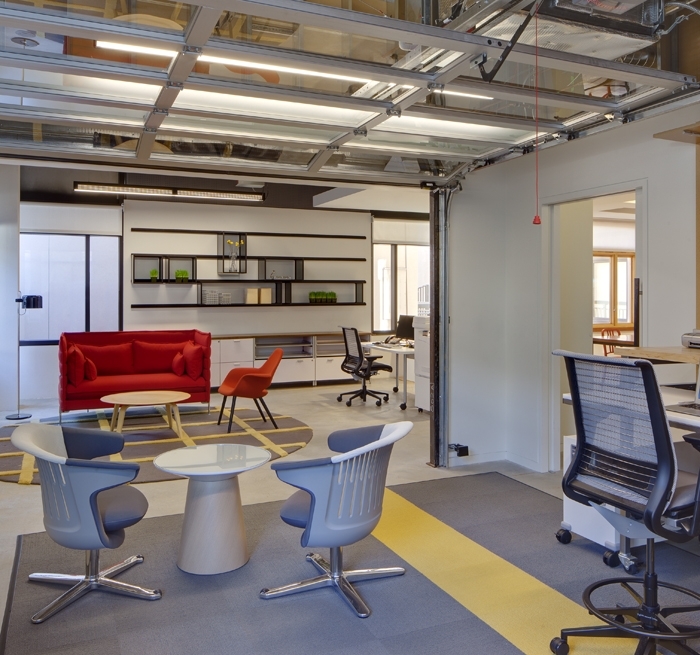 Collaboration/project rooms are lit with suspended pendant lighting. LEDs are used extensively for both general ambient and decorative lighting and supplemented by high-efficiency linear fluorescent sources. 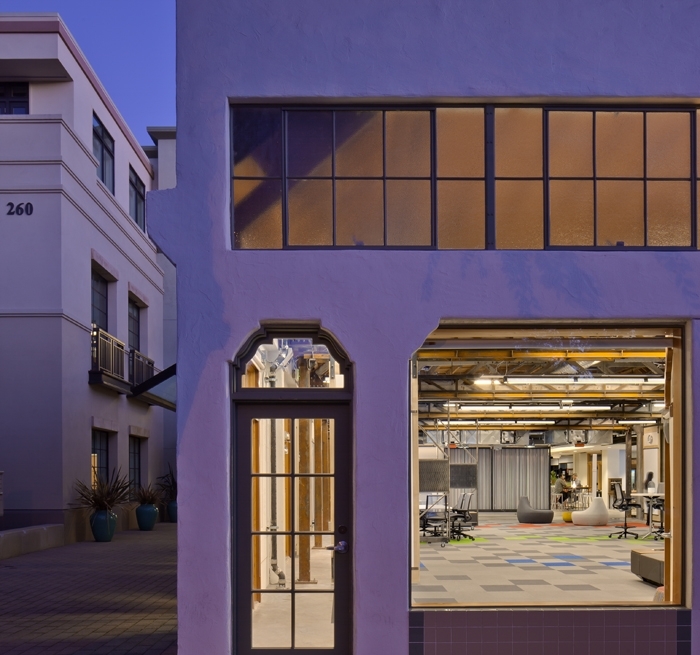 The building is LEED Platinum.